Fact: Roulette is a game of chance. Once the roulette croupier has called no more bets, there is nothing a player can do to influence the outcome of the game. This begs the question: How can you beat roulette in a casino? Let’s rewind and explore all the possibilities available to casino players – whether at an online casino, or a bricks and mortar casino. For simplicity sake, we will examine 3 unique roulette variants and the odds available to players in each of them. • European Roulette – this is the classic version of the game which is played at casinos around the world. It features a single 0, and numbers 1 – 36. With 37 numbers on the roulette wheel, and a house edge of 2.70%, this is one of the preferred roulette games. • French Roulette – at first glance, players may be mistaken for believing that French Roulette is identical to European Roulette. Both games feature a single 0, and numbers 1-36. However, there are rules specific in French Roulette that make this game more player friendly than any other roulette variant. These rules go by the names of En Prison and La Partage. Simply put, if a player places an even money bet and the green 0 lands, players will only lose 50% of their bet, or the bet will be imprisoned until the next spin. 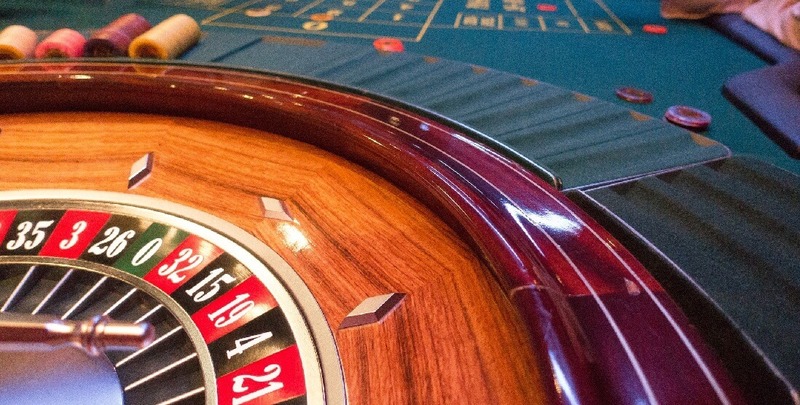 This rule reduces the house edge in roulette to just 1.35%. • American Roulette – American Roulette has a house edge of 5.26%. While this game is the least player friendly of all, it also offers an additional bet selection in the form of the 00. In total, there are 38 numbers on this roulette wheel, with a 2.63% probability of any single number hitting. This is the most important tip on how to beat roulette in casino resorts – choose the game with the lowest house edge. While American Roulette presents you with additional selections, it also offers the least player friendly odds. • Only gamble with money that you can afford to lose. Never borrow money to gamble with, including credit cards. Always use personal disposable income in the form of cash. • Always set a budget for each of your roulette sessions. Once you have reached your maximum, walk away. Some players opt for stop loss figures and take profit figures – much like traders do in the financial markets. • Since everyone has a limited bankroll, it’s best to divide your roulette gaming activity into short sessions. That way, you won’t go on tilt. This means that you won’t chase your losses and you are unlikely to get carried away when you’re on a lucky streak. • Profit maximization and loss minimization strategies are effective as part of your bankroll management strategy. Experts advise players to pocket a percentage of their winnings. • There are no guarantees with roulette betting strategies, since this is a game of chance. However, you may wish to try the Martingale strategy, D’Alembert strategy, Fibonacci, or the Reverse Martingale system during your sessions. Bankroll management is a blueprint for success at online casinos and land-based casinos. But if you really want to know how to beat online roulette, you will have to continue to step #3 in our guide. It has been said that practice makes perfect. One of the ways that you can learn the intricacies of roulette is by practicing in demo play mode. Unfortunately, traditional casinos do not offer this option, but online casinos do. Simply register at a licensed and regulated online casino and practice European Roulette, French Roulette, or American Roulette in demo mode. You will quickly learn about the rules governing each of these games. The minimum and maximum bets, inside bets/outside bets, neighbour bets and other selections will differ from one game to the next. For players wanting to know how to beat online roulette, it’s important to look carefully at the layout of the French Roulette wheel. It’s different to the European and American variants. When you practice in demo play mode, you can preserve your bankroll for the games you really enjoy and then play for real. Players at licensed online casinos have the additional benefit of welcome bonuses and promotions. This is effectively ‘Free Cash’ that you can use to play roulette games with. If you follow these 3 steps, you will increase your odds of winning in roulette. Everyone needs to choose a roulette game with the lowest house edge, manage their bankroll effectively, and understand the game mechanics before wagering real money. Besides for these casino table games, there are dozens of interactive slots games to enjoy at CaesarsGames.com. Slots have the added advantage of being spin and win attractions – no skills or strategy are required. Simply fire up those reels and instantly form winning combinations.